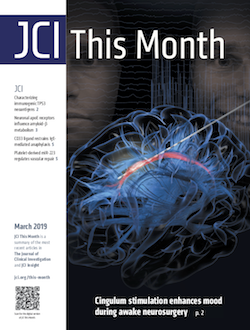 JCI This Month (previously JCI Impact) is a digest of the research, reviews, and other features published each month. 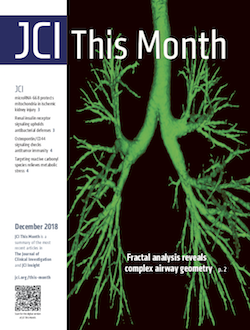 The digital version of JCI This Month is free. 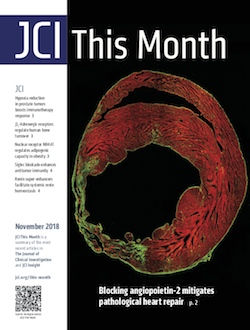 Information about print subscriptions, which include online access to all JCI articles, is available here. What are the black and white squares for? 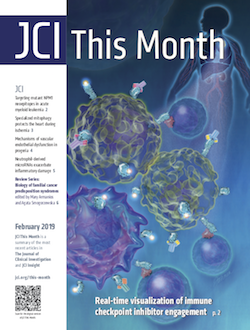 You'll notice quick-response codes, or squares, in JCI This Month. If you have a smart phone or tablet, you can scan these codes with a QR reader application. Scanning these codes will allow you to navigate to a web page of interest without manually typing in a URL. We have linked many of the URLs for easy access to the full version online. 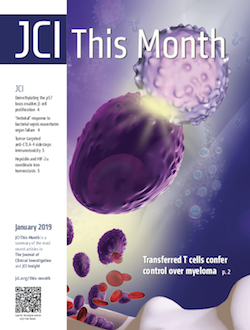 If you are reading JCI This Month on a tablet or phone, you can use the same pinch gestures to zoom into images and text. 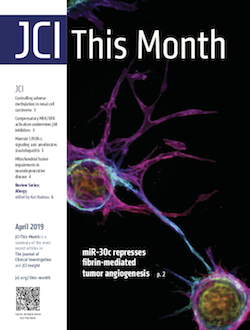 You can share PDFs of JCI This Month without permission. We welcome your comments by e-mail, editors@the-jci.org.